Great as an additional food source while away on vacation. Contains five regular sized blocks. Food & Calcium Supplement in One! 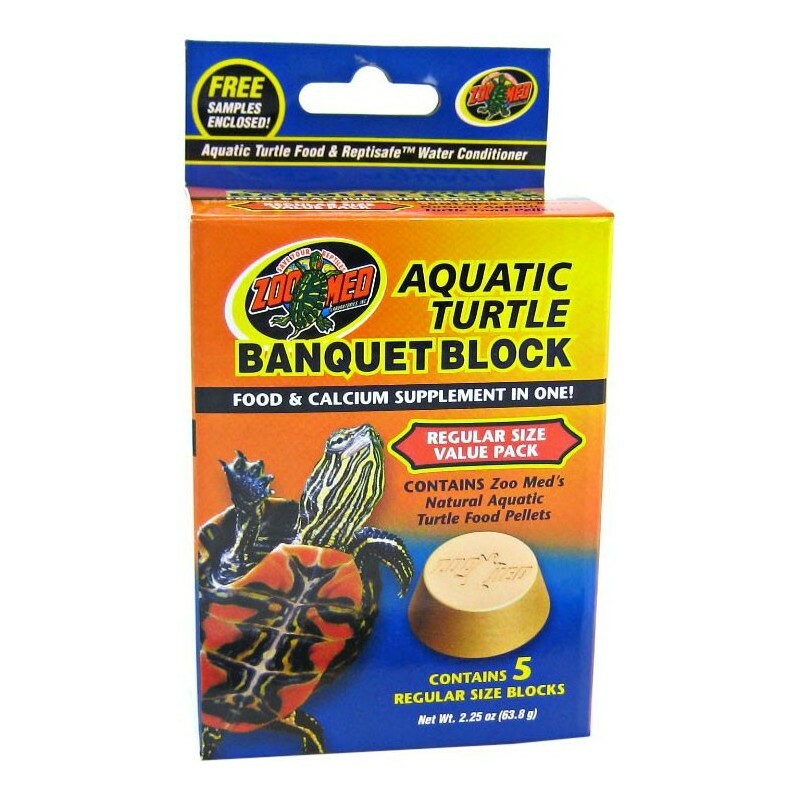 Contains Zoo Med's Natural Aquatic Turtle Food Pellets. Available in Regular and Giant sizes. Helps maintain a turtle's beak. 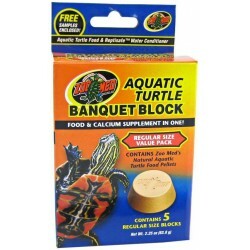 FREE Samples of ReptiVite® & ReptiSafe® in value pack! Contains five regular sized blocks. Calcium Sulfate, Soybean Meal, Wheat Flour, Fish Meal, Wheat Middlings, Corn Gluten Meal, Spirulina, Fish Oil, Lecithin, Iron Oxide, L-Ascorbyl-2-Polyphosphate (stabilized Vitamin C), Dicalcium Phosphate, Choline Chloride, Niacin, Thiamine Hydrochloride, d-Calcium Pantothenate, Pyridoxine Hydrochloride, Biotin, Beta Carotene, Vitamin E Supplement, Riboflavin, Thiamine Mononitrate, Folic Acid, Vitamin A Supplement, Vitamin D3Supplement, Vitamin B12 Supplement, Manganese Sulfate, Zinc Sulfate, Ferrous Sulfate, Copper Sulfate, Sodium Selenite, Potassium Iodate, Propionic Acid (a natural preservative).